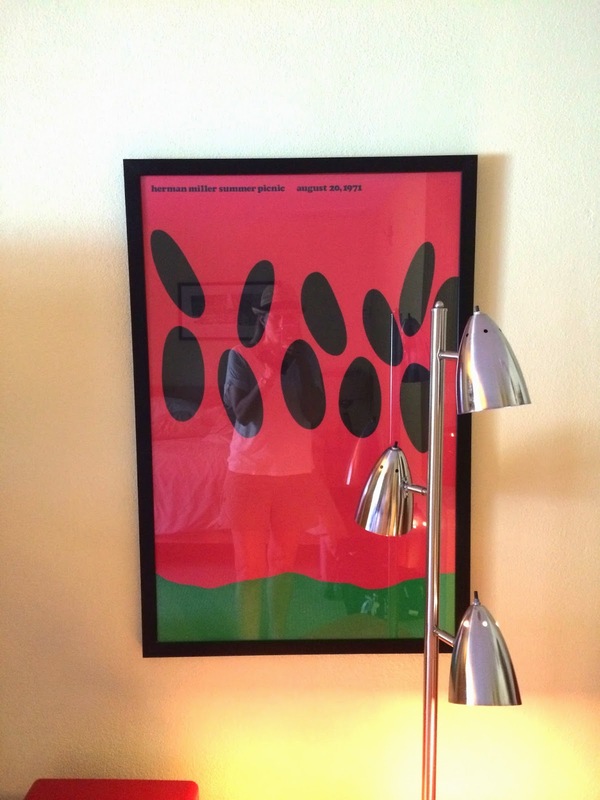 Inspired by our trip to Palm Springs, I curated a Mid-Century Decor inspired Ideabook for Houzz. We are enjoying a two week spring break! Last week my hubs and I went on our own getaway while our younger two went on a track trip to Hawaii. We decided to head to Palm Springs. Our winter has not been nearly has horrible as the rest of the country but it rains here and we wanted to visit somewhere where the chance of rain was VERY slim. Enter Palm Springs. 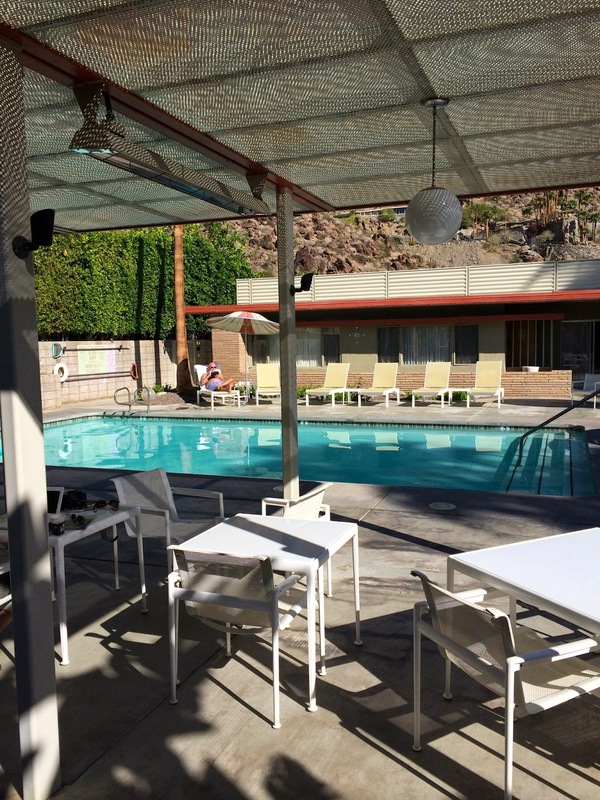 After a bit of research I stumbled across the most fabulous inn, The Orbit In, that was situated in the heart of Palm Springs in the Historic Tennis District. 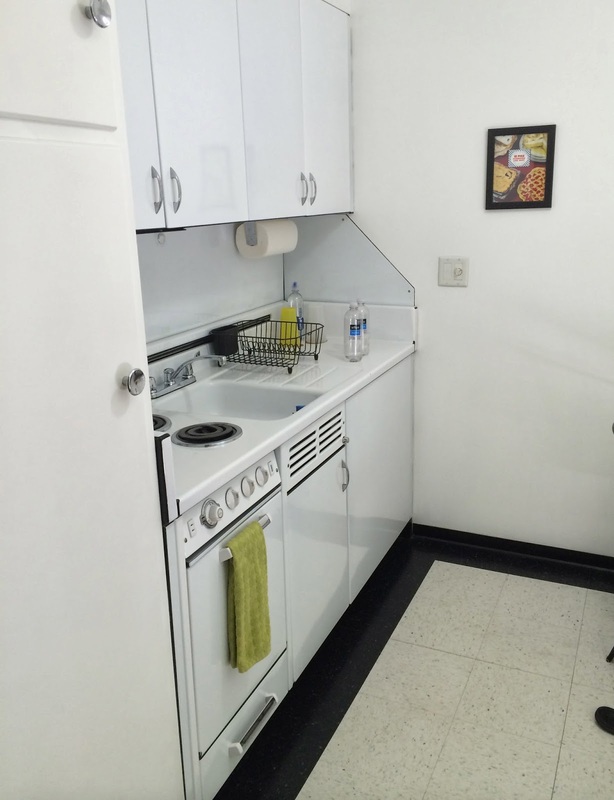 The owners have maintained the original fixtures that date back to the late 50's. It was SUCH a treat to stay there. 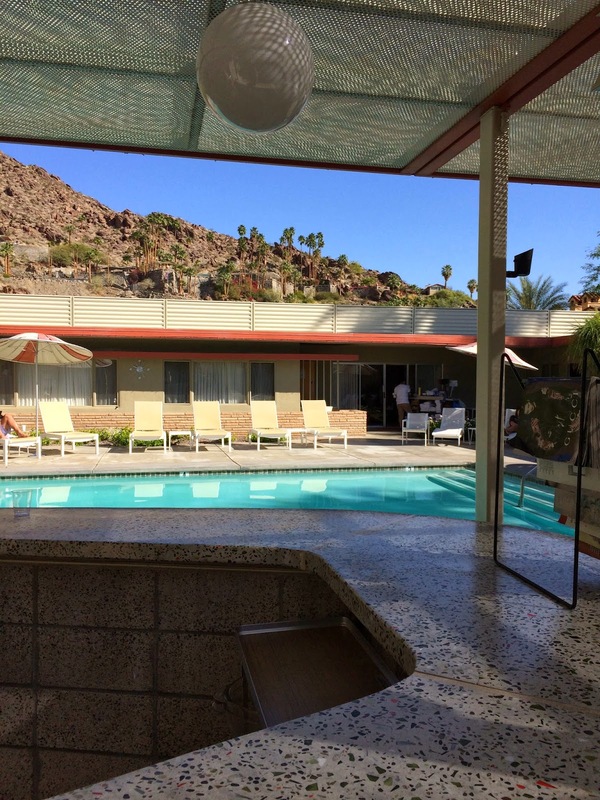 Not only was the inn full of vintage MCM goodness but the experience of staying there was amazing. Kevin and Jinny, the owners and hosts for that week cater to all your needs. It is run like a bed and breakfast, with free breakfast in the morning and then cocktail hour in the early evening, where Jinny whips up their signature drink, The Orbitini. With only 9 rooms, all facing into the courtyard and pool, you can't but help socialize with all the guests. Sitting poolside you have sweeping views of the San Jacinto Mountains and palm trees. 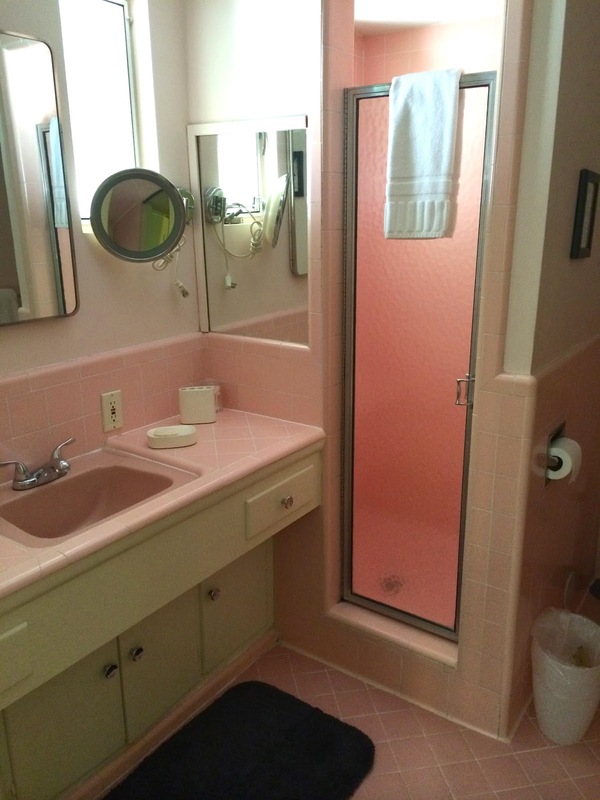 The original pink bathrom. I loved taking a shower - it was a huge space. The fridge and stove all worked! 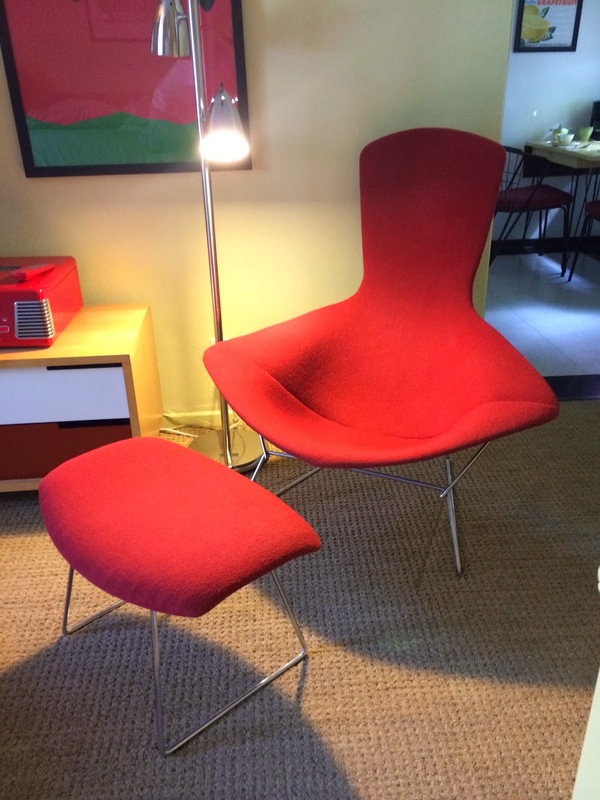 A vintage Bertoia chair in our room! So comfy to sit in. 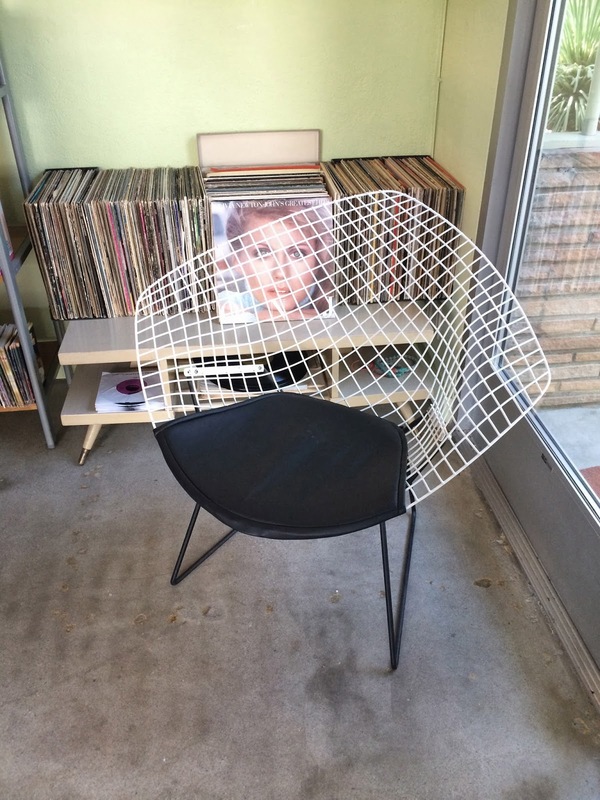 A vintage Bertoia chair in the front office. 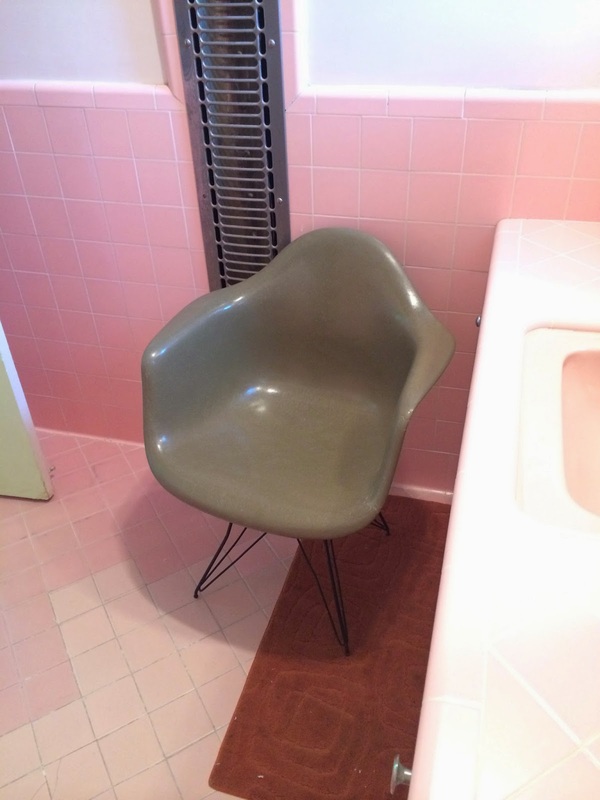 An authentic Eames chair in the front office bathroom. Check out the vintage Thermador heater in the wall! Our goal was to have no plans, which we fulfilled, by doing things on a whim, except a visit to Joshua Tree National Park. Another out of this world experience. It was like visiting another planet, very surreal. 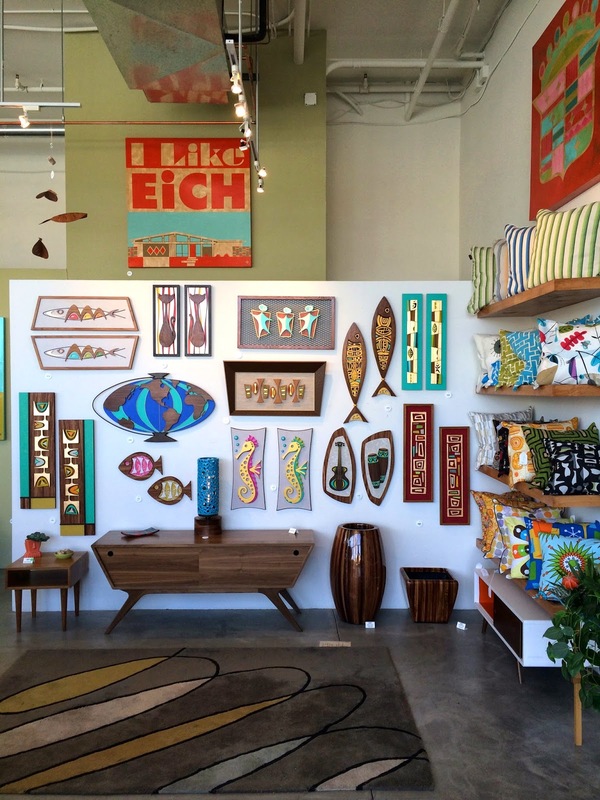 We also spent an afternoon in the Uptown Design District popping into shops. Our favourite was Just Modern where we fell in love with the concrete table. It was too heavy and too expensive to take home! 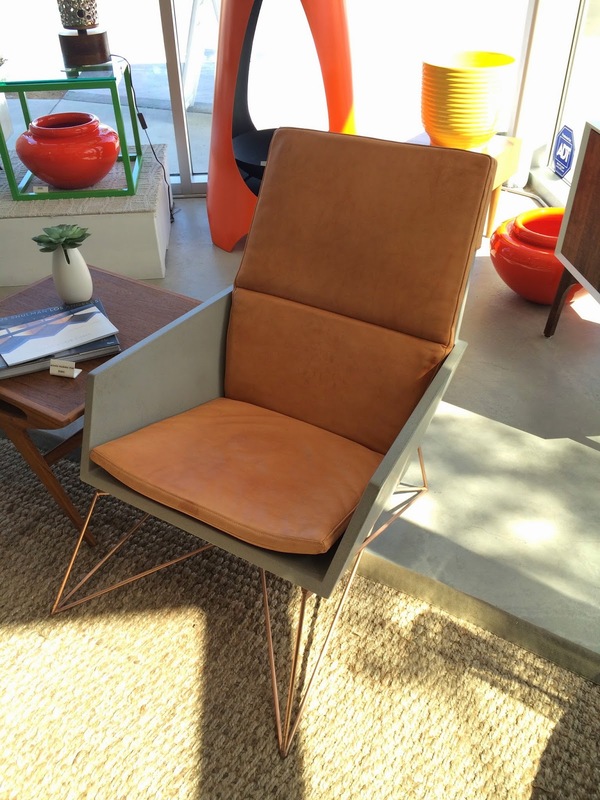 If you are a fan of mid-century furniture and architecture, then a visit to Palm Springs is a must. I admire MCM, but can't say I have anything of the sort in my home. 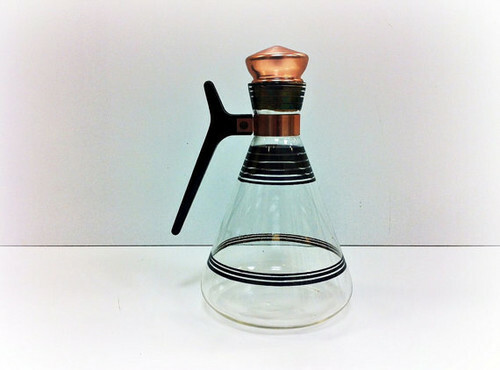 I think it would be nice to incorporate a few pieces in our home. I am going to keep my eye open for some! My husband is an avid cyclist to say the least, and he brought along his road bike. 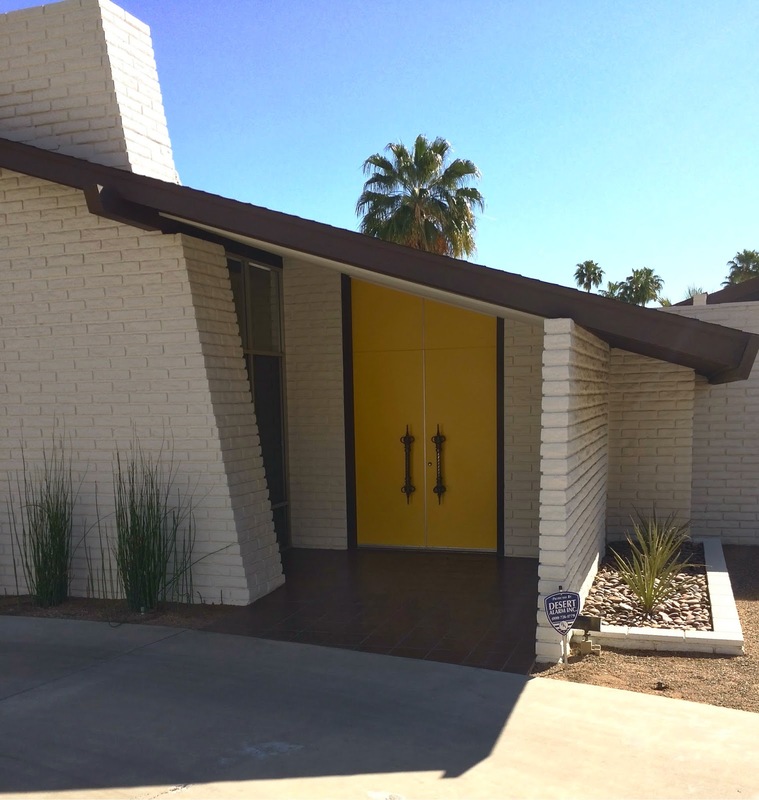 When he went biking, I either tanned by the pool or drove around checking out the historic mid-century homes that are everywhere. I bought an iPhone app called : FanGuide Palm Springs Modern Architecture tour, which is a self guided tour. Even our hotel was in the tour! This is the home where Elvis and Priscilla honeymooned. Not on the tour, but I LOVED this house. This one wasn't on the tour either, but again, loved the house and the door. Another one, not on the tour, again, fabulous door! There you have it our trip in a nutshell. I have the rest of this week still off, we had a two week spring break. I have been sewing some pillows for the family room and working on a project at my sister's house - which I will share soon! Tracey Ayton!!! Woot! Woot! I'll be sending you an email! 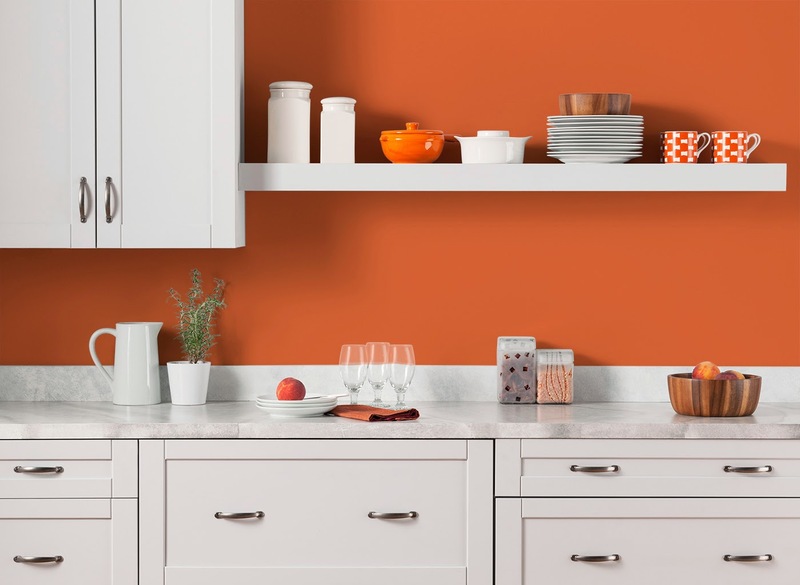 With spring just around the corner....(ok, for some of my fellow Canadians, it does not seem like spring is around the corner) and the urge to spring clean and spruce up your home after a long and dreary winter hits, what better way than to paint! CIL paints is offering one of my lucky Canadian readers 3 gallons of paint! The colour and finish is your choice! 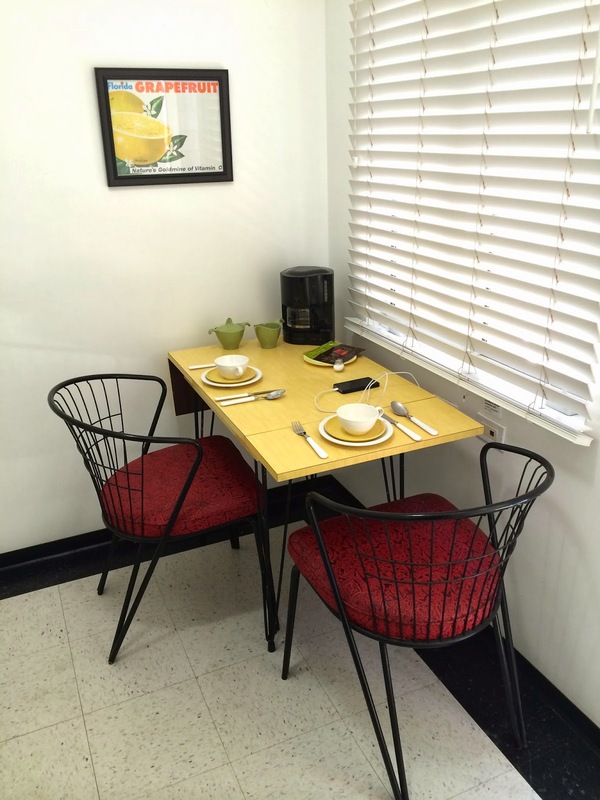 I know that I would LOVE to give my rooms a refresh with some fresh paint. 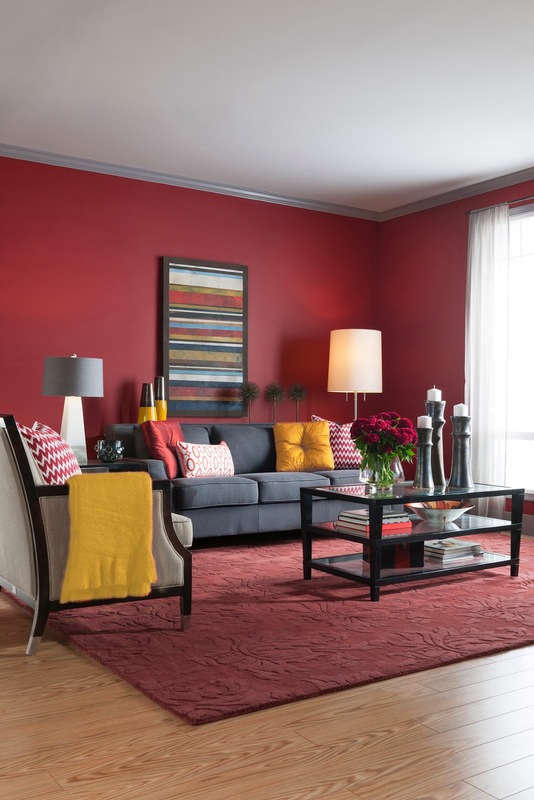 Wall paint is one of the best ways to change the look of a room. If you want to win 3 gallons of paint, you MUST be a Canadian resident. Visit CIL paints and leave a comment below telling me which colour or colours you would choose and what room you would paint! The giveaway will be open until noon Friday, March 14, 2014 PST. 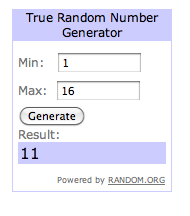 I will announce the winner that evening!